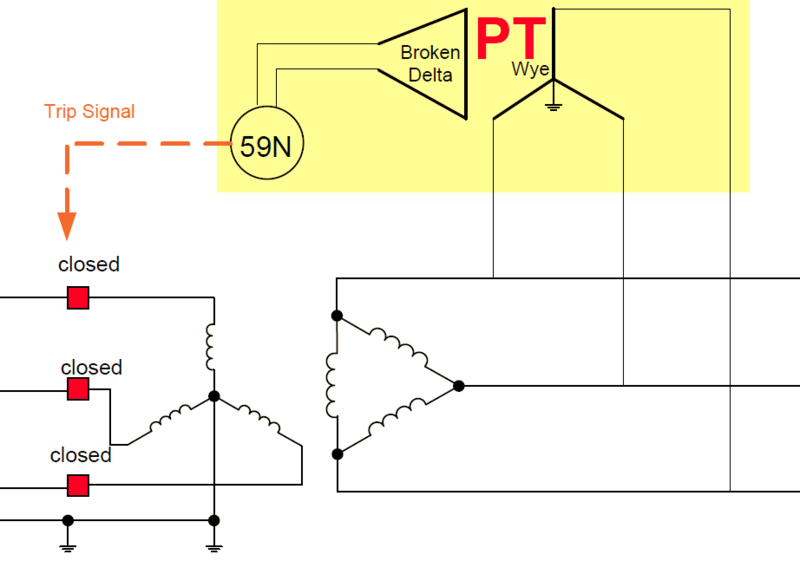 Figure 1: Ground fault overvoltage occurrence for a distribution feeder fed through a delta-wye transformer. A solid or low impedance single-line-to-ground fault occurs on the transmission side of the service. The fault is detected by the transmission protection which then disconnects the transmission source. This islands the transmission line and connected distribution feeders. Normally, the island will de-energize if all the connected facilities are typical customer loads. With sufficient amount of PV on the island, the island may stay energized with the fault still present. GFO then arises on the sub-transmission segment of the island. The duration that the GFO remains can potentially be long enough to pose a safety risk to personnel and/or damage electrical devices and equipment. Utilities have advocated the implementation of a protection scheme based on measurement of zero sequence voltage (referred to simply as a “3V0” scheme). This scheme requires that potential transformers (PT) be installed on the high side of the substation transformer as shown in Figure 2. The scheme can be costly, especially for single PVs connecting to distribution feeder that does not yet have any PVs. Pterra conducted a research project (funded by the New York State Energy Research and Development Authority, NYSERDA) to identify an alternative means of detection and protection. The initial phase of the research used PSCAD as the simulation tool. Detection on low-voltage side of the substation transformer. Do not require extensive amounts of additional equipment, material or construction. Monitor parameters that distinctly identify a potential GFO condition without being overly subject to over sensitivity (such as failing to detect the onset or presence of GFO). 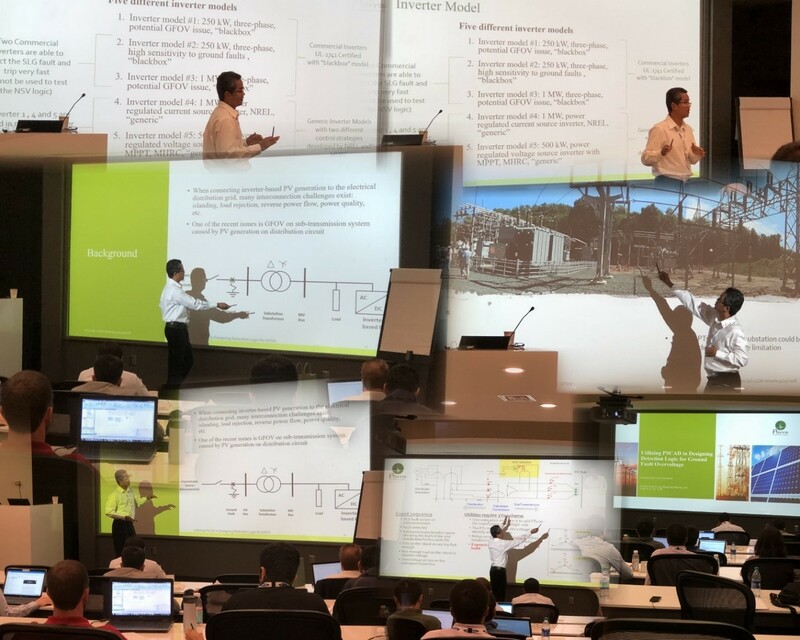 In line with the above, the research looked at electrical parameters on the low-voltage side of the substation. These included such measurements as voltage imbalance, transient voltage rate of rise, and negative sequence current. However, none of these parameters provided sufficient sensitivity to meet the objectives of an alternative protection scheme. The parameters that proved most promising were the secondary (or “low-side”) positive and negative sequence voltages. Based on this, the Negative Sequence Voltage (NSV) protection scheme was developed. Figure 3 shows the PSCAD plot of the three phase voltages on the high side of the substation transformer. At t=0.6 sec, the SLG fault is applied. After 5 cycles, the transmission side breaker opens, islanding the distribution feeder with PV. After this, GFO forms on the high-side voltage. Figure 3: PSCAD plot of high-side voltages. With the NSV logic, the GFO condition is detected and trips the distribution side breaker. The overvoltage is dissipated before it has a chance to reach its maximum value. This is shown in Figure 4. Figure 4: NSV applied to detect GFO and open the distribution side breaker. PSCAD provided a working platform that allowed the Pterra researchers to identify potential alternatives to the 3V0 protection scheme. Following this software-based approach, Pterra is testing the concept of NSV protection using actual hardware.